Efficient recruiters get more done and connect with more candidates, which means each and every touchpoint they have with a candidate is crucial in creating a good experience whether the candidate joins the organization or not. 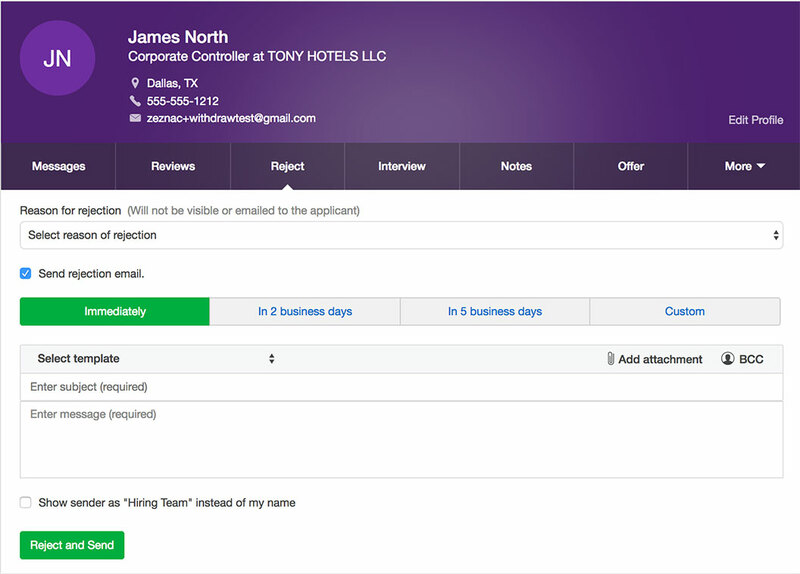 Defer Candidate – A reminder, with notes, can be added within the SmartRecruiters platform by anyone with access to a candidate in order to re-engage with a potential candidate when it is most advantageous. This means hiring organizations can resurface candidates within the SmartRecruiters platform without relying on an externally-triggered reminder. Delayed Rejections – This feature gives recruiters the ability to reject a candidate today, clear them out of their active pipeline but have the satisfaction of knowing that the candidate will only receive a rejection email after ample time so they feel thoroughly considered for the position. Screening Automation – Incorporate questions that clarify key characteristics about a candidate right away to determine if they should move forward in the process. If they get knocked out by these questions, you can leverage the Delayed Rejections feature to ensure the candidate feels thoroughly considered. Recently Viewed Candidates – This filter give users the ability see the most recent 5 candidates without having to search for them by name. This makes it easy to go back to important candidates under consideration. Slack app – Connect your team’s Slack account to SmartRecruiters to create channels for each job, share candidates, and prepare for interviews with quick links to resumes and reviews. 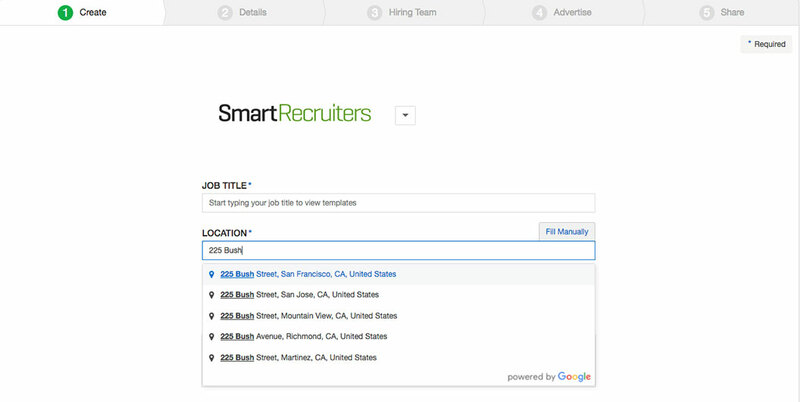 Google Jobs Search update – SmartRecruiters’ Alpha partnership with Google means your jobs are more easily discovered by candidates AND with the newly updated geographic data you can include, candidates can see commute times as well. This additional information makes them better informed and more likely to apply for relevant opportunities. Facebook app – Full “Share to” functionalities, and most recently, support of targeted advertising campaigns through the SmartRecruiters Marketplace team.